The Composable Collection is dedicated to everyone who wants to express themselves through the jewellery they wear. Composable bracelets and watches are, in fact, completely personalisable and allow you to create a unique and original accessory every time which tells your story. 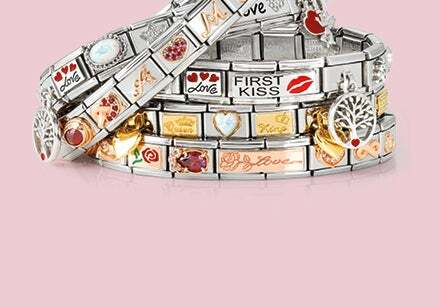 To the stainless steel bracelet and watch base you can easily add new Links whenever you want: this is what we call the iconic Nomination tiles that are embellished with letters and symbols in gold, enamel, gemstones and charms. 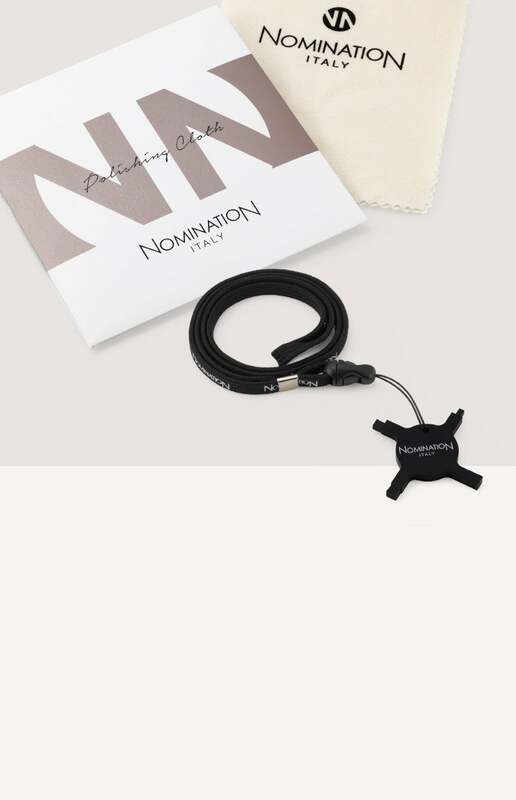 All of Nomination’s composable jewellery can therefore be worn on any occasion: it’s elegant and sophisticated while at the same time it can also be fun. 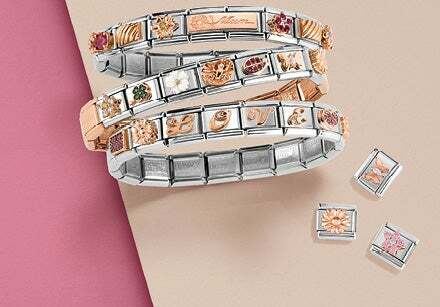 This trendy jewellery is constantly being updated to follow the latest in fashion with original new Links, making your watch or bracelet an essential accessory to wear in the most informal as well as in the most refined settings. But wait, there’s more: jewellery from the Composable Collection, with its personalisable Links, represents an actual means of communication and enables you to express your feelings to who you want.